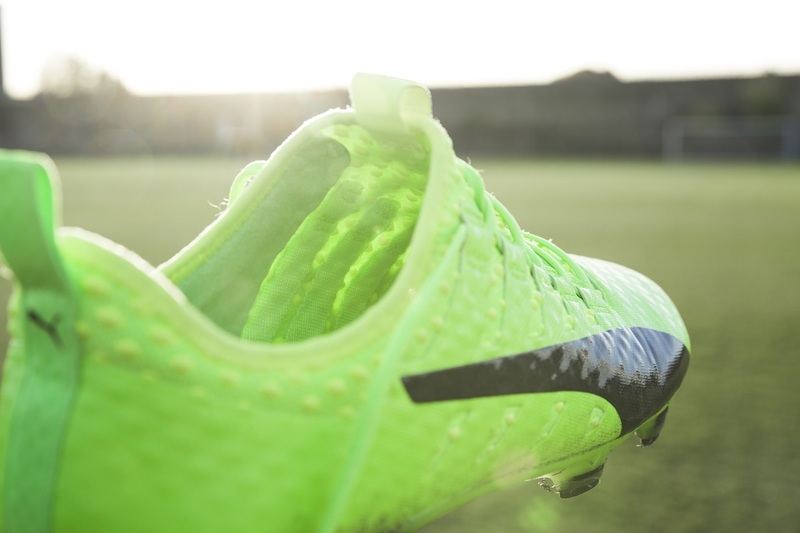 New year and a new piece of power for Puma, as they introduce the next generation evoPOWER Vigor 1 to the market. 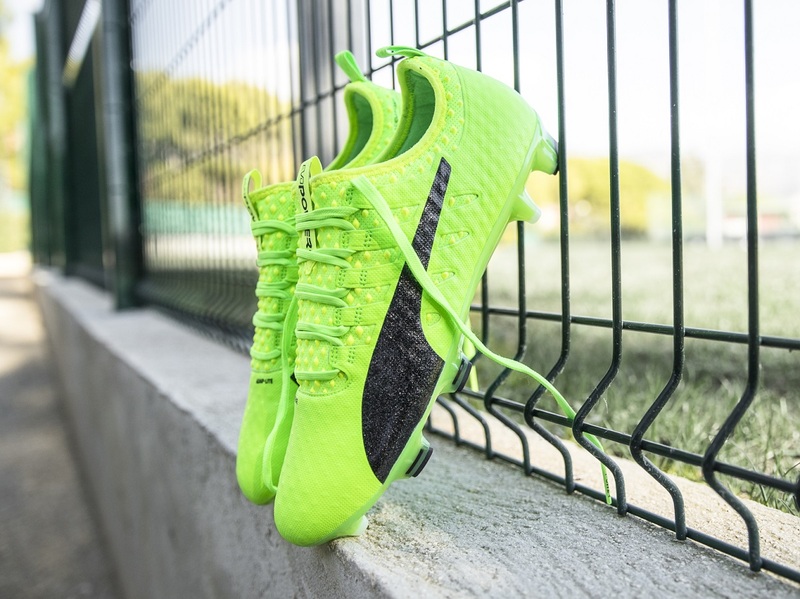 The latest boot sees PUMA’s greatest design overhaul yet in the POWER category, boasting an upgraded silhouette that keeps power and accuracy at the heart of the design. So what is so new about this latest release? Well, the Vigor 1 is the first in the POWER family to feature a stretchable Spandex sock construction, creating an ultra-comfortable slip on boot with a barefoot feeling. The Spandex sock lining works in harmony with PUMA’s next generation AccuFoam upper technology which features a new engineered 3D format. The PU foam dots regulate the uneven surface when the foot comes into contact with the ball, which maximizes precision when striking the ball powerfully. In completing the upper design, PUMA’s Adap-Lite material is further enhanced with a new support cage that allows the foot to bend. The one-way stretchable microfiber upper material supports the biomechanics of the foot while striking the ball barefoot, maximizing both power and precision. This combined with GripTex, a PUMA technology applied to the upper of the boot, helps create enhanced grip and ball control. Underfoot, the evoPOWER Vigor 1 outsole remains the same as its predecessors as a result of popular demand, featuring a mix of bladed and conical studs. 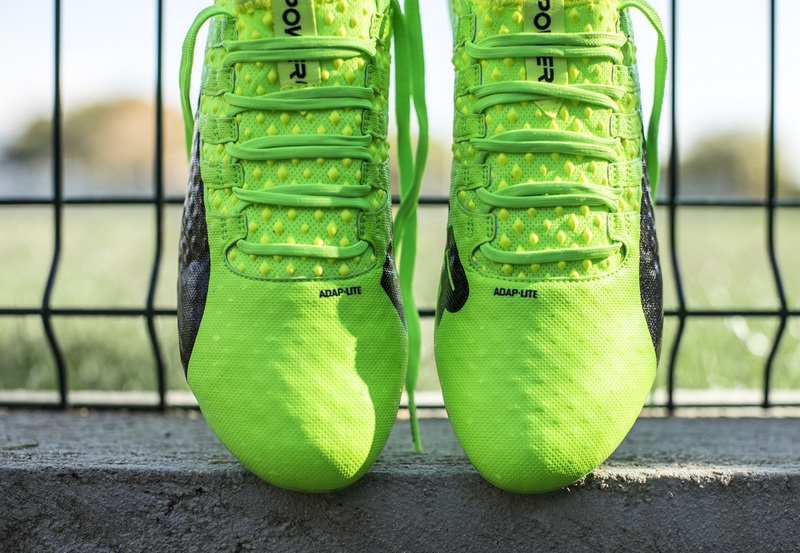 Based on PUMA’s research into how force travels on the stance and kicking legs, the boot features bladed studs that ensure perfect ground penetration and stability, especially on stance leg, and conical studs for optimal agility. 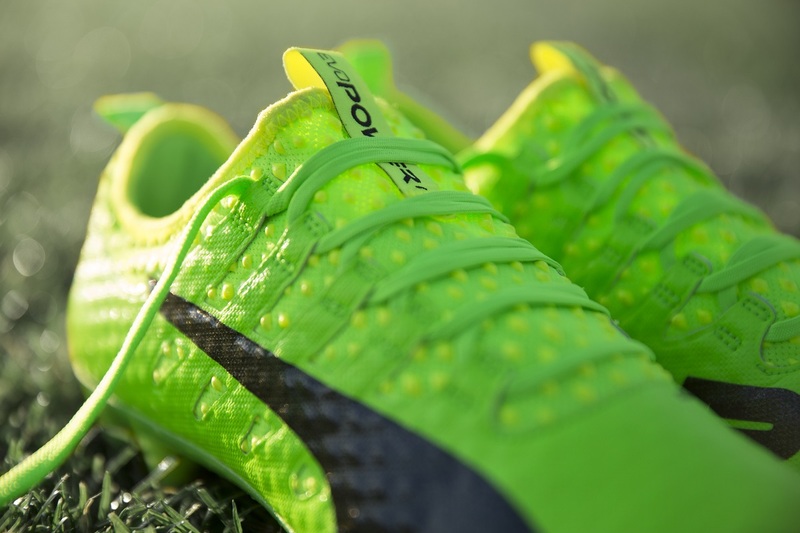 On-pitch, they will be worn by Olivier Giroud, Mario Balotelli, and new PUMA ambassadors, Petr Čech and Marc Bartra. Remember that scorpion kick that Giroud scored last week? He was wearing a Camo pair of Vigor when pulled it off! Not a bad way to showcase the boots. Find the release Gecko Green colorway available right now from soccer.com.